In Ayurvedic, root is heating, , fatigue, alternative, fattening and useful in treatment of piles, appetizer, blood related disorders etc. Kali Musli is a herbaceous tuberous perennial with a short or elongate root stock bearing several fleshy lateral roots. During flowering period it open a golden yellow flower at the leaf base every day. Offering high quality raw moosli at competitive prices. 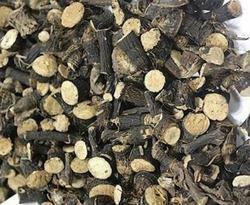 medicinal use as a tonic, demulcent, diuretic, restorative component. Also in the treatment of piles, jaundice, diarrhoea, asthma and as a poultice for itch & skin diseases. We are a very famous name in the industry for offering a qualitative range of Kali Musli to our clients. These herbs are very popular for their longer shelf life and effectiveness in the market. Our products are widely used for many purposes. These kali musli are attainable at leading industry rates. Kapil Enterprises is a reliable name as a supplier of a wide range of herbs , including Curculigo Orchioides. Curculigo Orchioides useful in treatment of piles, fatigue, blood related disorders , useful in bronchitis. 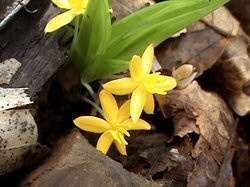 According to Ayurveda, Curculigo Orchioides is useful in treatment of piles, biliousness, fatigue, blood related disorders etc. useful in bronchitis . We are offering Kali Musli to our client. Botanical Name for Kali Musli is Curculigo orchioides. It is also commonly called as Curcuglio golden eye grass, Black musale, Taalmuli, Musali kand etc.